*Actual On Road Price of Suzuki Access 125 at the dealership may vary. The Suzuki Access 125 scooter is the company’s best-selling scooter in India. In fact, it is the largest selling 125 cc scooter in India currently. It is an achievement for Suzuki to have a best-selling scooter in its portfolio and that too in a market which is dominated by Honda and TVS when it comes to scooters. Even though the scooters in the 125 cc segment in India have a bold, interesting design, the Access 125 scooter stands out thanks to a conservative design which is typical of scooters in India. More importantly, the format sure seems to work for Suzuki Motorcycle India as of now. The Access 125 gets a retro-design. Also, the Suzuki Access 125 colours are Pearl Suzuki Deep Blue, Candy Sonoma Red, Metallic Fibroin Grey, Glass Sparkle Black, Pearl Mirage White and Metallic Sonic Silver. The Suzuki Access 125 scooter gets a retro-design with a rectangular headlamp having a chrome surround which adds to the premium-ness of the scooter. While the front end is not exactly stylish, the apron is flanked by two longish indicators which are the only styling bits up front on the Access 125. Viewed from the side, the panels on the scooter are plain. 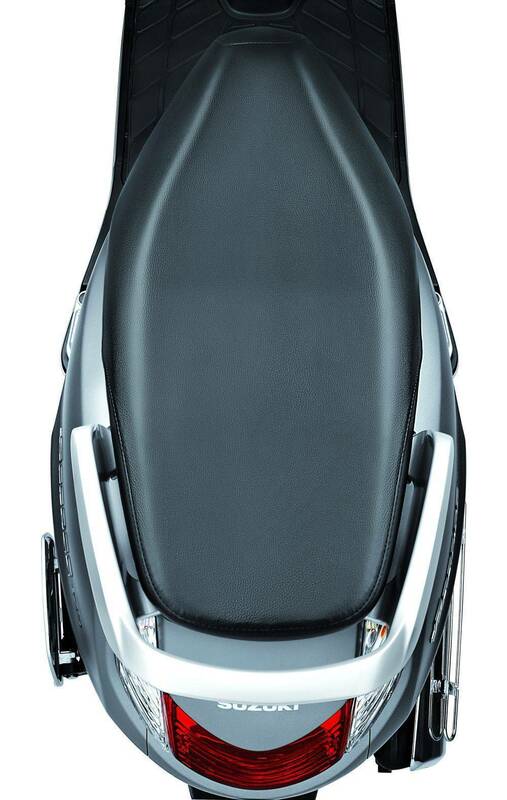 There is a patch of grey plastic, which adds to the styling, although not exactly adding to the looks. From the rear, the Access 125 looks decent, with a big tail lamp and the chrome cover on the muffler takes the style quotient a few notches higher. Overall, it is yet to catch up as far as design is concerned, with other 125 cc scooters such as the TVS NTorq 125 and the Aprilia SR 125. Do read our Access 125 review on carandbike.com. The Suzuki Access 125 gets a 124 cc single-cylinder engine which is air-cooled and makes around 8.5 bhp of maximum power at 7,000 rpm and 10.2 Nm of peak torque at 7,000 rpm. The engine of course is paired to a continuous variable transmission or a CVT which translates into effortless riding on city roads. The Access 125 scooter engine is carbureted and you get an electric started along with a kickstarter as well. The Suzuki Access 125 mileage is 63 kmpl. Thanks to the light weight of the scooter and the 125 cc engine, the Access 125 has a sprightly performance that is quite helpful when riding in the city. The torque is spread across the rev range and till 80 kilometres per hour; the scooter never runs out of breath. Also, the CVT unit is responsive enough to keep the power flowing at all times. The Access 125 handles well and doesn’t shy away from corners either. Suzuki claims that the Access 125 can go 64 kilometres for every litre of petrol. The Suzuki Access 125 is one of the better scooters in the 125 cc segment, when it comes to performance. The Suzuki Access 125 is available in three variants which are the drum brake variant, disc brake variant and the disc brake with CBS variant. The drum brake variant of the Suzuki Access 125 price is Rs. 55,459 while the disc brake variant is priced at Rs. 58,350. The disc brake with CBS is priced at Rs. 59,118. All prices are ex-showroom, Delhi. 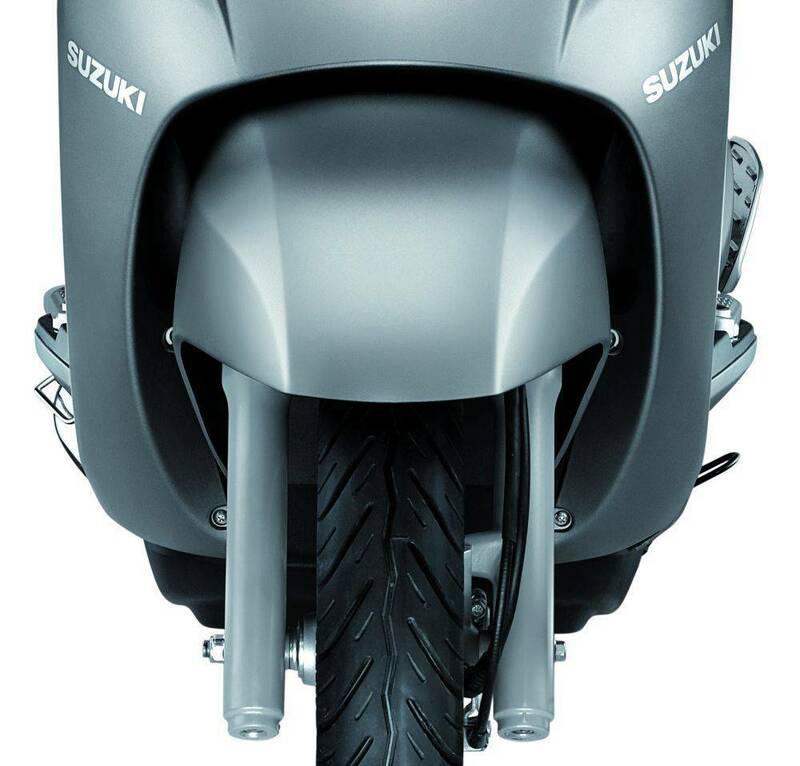 The Suzuki Access 125 on-road price starts at Rs. 58,908 (On-road Delhi). Here is everything you need to know about the recently launched Suzuki Access 125 special edition. I bought a Suzuki Access 125 scooter on 7 th Febrary 2018 from the dealer RAJAVALSAM , Mavelikara (a branch of RAJAVALSAM ,ALAPPUZHA ) .From the first day itself I heard an abnormal sound from the engine part of the Scooter .I complained the defect to the service center at Mavelikara .First they didnt take my complaint seriously .But when I approached them again two days later they took my Scooter for an examination .The next day they returned my vehicle and told me that there had been a complaint with the air filter and it had been corrected .But I felt that the sound was not completly gone .It was very loud when the scooter was trying to start .That complaint was reprted again but they blindly denied my complaint and assured that the vehicle was perfect . At a night after two days later ,while I was riding this scooter I heard a sharp shril voce from my vehicle and automatically stopped it abrupptly . I tried to start the scooter but in vain. This was on 17 th Feb ..ie 10 days after the purchase .The total distance run by this Scooter is 140 ....... TELL ME .......WHAT SHALL I DO AT THIS MOMENT .... THE SCOOTER IS NOT RUNNING .... WHEN I APPROACHED THE SHOW ROOM , THEY TOLD ME THAT THEY WERE READY TO REPAIR THE SCOOTER . WHY SHOULD I ACCEPT THEIR OFFER , IT IS A CLEAR EXAMPLE OF MANUFACTURING DEFECT I am a senior citizan and a pensioner .... WHAT CAN I DO ... Access 125 A WASTE OF MONEY . In advertising giving 64kmpl but not even getting 40kmpl. Suzuki company is cheating it's customers. Very disappointed with it. I bought new access 125 at a cost of 70000INR.